Bitcoin Above $9,000...Do We Celebrate? 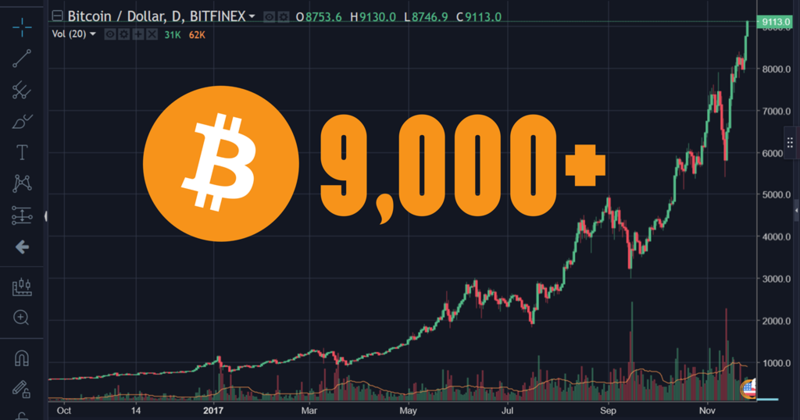 Crypto For Everyone > Investment tips > Bitcoin Above $9,000…Do We Celebrate? I wrote a post in October 12, 2017 when bitcoin was about $4,800, predicting that bitcoin would hit $10,000 by December, 2017. 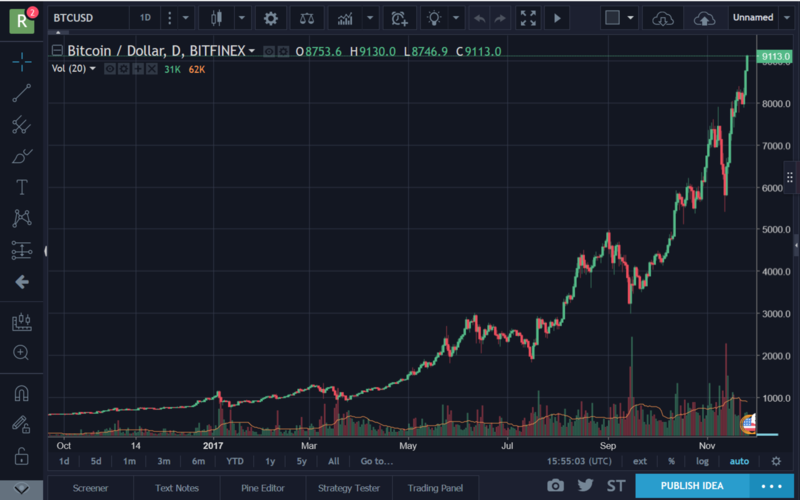 This prediction has come closer to reality with bitcoin now officially above the $9,000 mark and strongly eyeing $10,000. Most of this surge in bitcoin price has been due to the series of forks that have happened this year. You might have noticed that during the run-up to bitcoin fork dates, there’s always massive decline in the price of other cryptocurrencies while the price of bitcoin goes up. This is a very important investment opportunity window that a lot of people fail to capitalize on to make profits. Find out how forks affect bitcoin price and how you can take advantage of them to make huge profits here. Also, once the fork ruckus dies down, many altcoins pick up and start going up again. If timed well, you can buy in when they’re at their lowest and best prices before they start going up. I made another post just few days ago, precisely on October 22, 2017 “the best cryptocurrencies to invest in before 2018”, and most of cryptocurrencies in my prediction have already gone up reasonably. You might also want to read the post here. It has indeed been a wonderful year for the bitcoin family as Bitcoin cash and bitcoin gold (bitcoin forks) are not doing bad too. 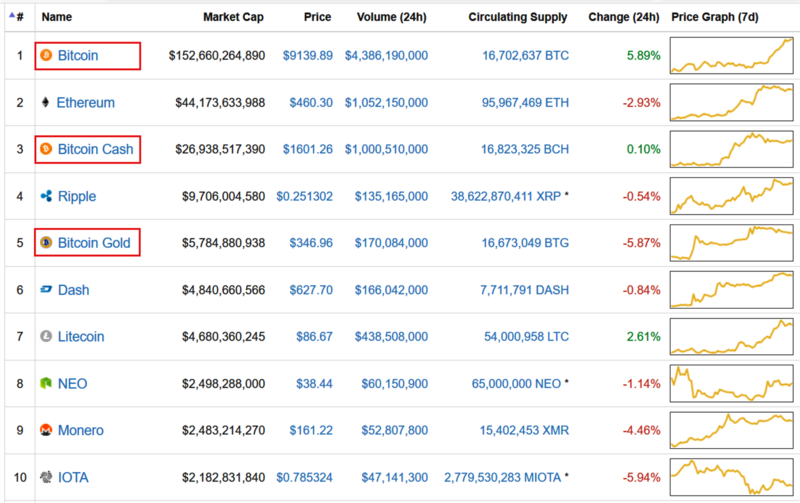 Three members of the bitcoin family are now in top 5 positions on coin market cap (based on total market cap) with Bitcoin in first place, bitcoin cash in third place and Bitcoin gold in fifth place. However, this doesn’t quite seem to be good news for other cryptocurrencies. 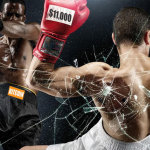 With many other bitcoin forks on the way including Bitcoin Diamond, Super Bitcoin, Bitcoin silver, and others still being planned, we might soon have an explosion of bitcoin forks on the cryptocurrency market. The increase in bitcoin forks appears to be on the high lately and is seemingly the new money-making strategy since the ban of ICOs in China; and this development definitely calls for serious caution. Cryptocurrency investments are quite risky, so please invest wisely and stay safe.